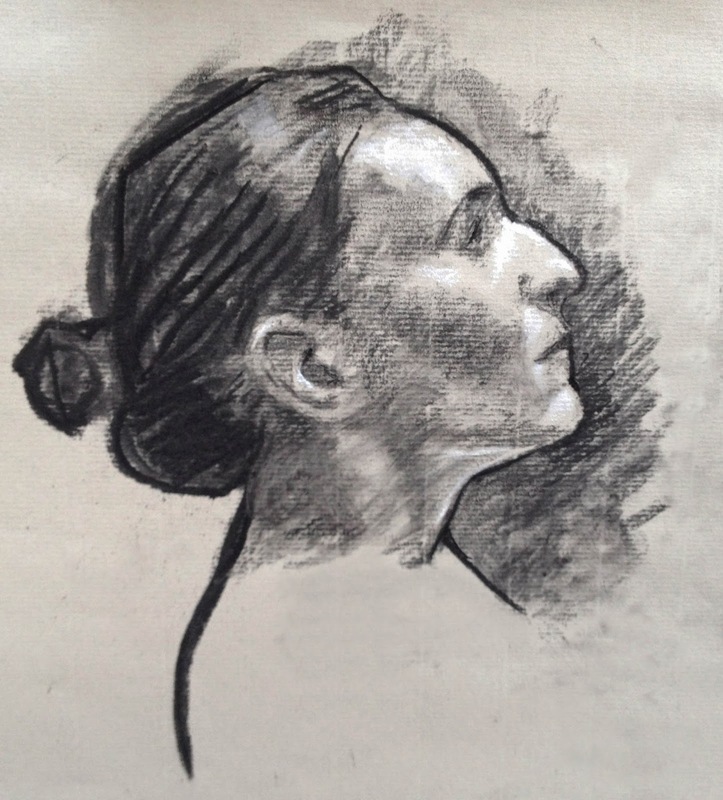 I got a chance to do this little study of Alicja while I was teaching a lovely group of artists at the RHA yesterday. Alicja is a beautiful girl, but it is difficult to catch a likeness of her because she has such strong features. I was pretty pleased with this effort though. My class did really well working in charcoal and emphasising tone over line. I’ll get some shots of the group next week.